Anyone who knows me, knows my love for a good gyro. If it’s on the menu, I know what I’m getting. My list of Greek favorites goes on from there. 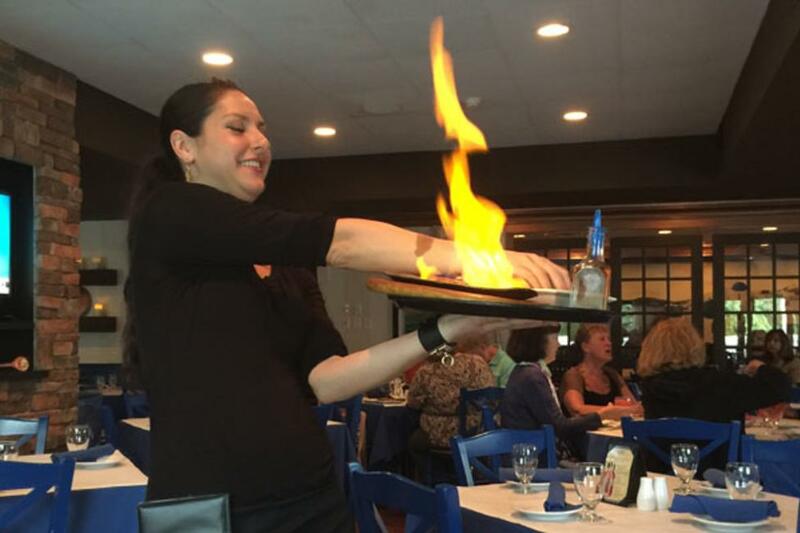 I frequently venture out to find Greek cuisine in Lehigh Valley, so I thought I would share some of my favorite finds. Yianni’s Taverna I’ve heard all about how great Yianni’s is, and boy am I upset I didn’t try it sooner! From the moment you walk inside, you are in for a true Greek experience. Even though I am a gyro fanatic, I would suggest being adventurous and trying something that you’ve never had before like the Saganaki and Moussaka— you’ll thank me later. St. Nicholas Greek Orthodox Food Festival The annual Greek food festival at Saint Nicholas is the ultimate Greek food experience. Enjoy delicious homemade food, traditional Greek dances, and music. Try your fair share of gyros, souvlaki, Greek sundaes and so much more. Aladdin While this restaurant is not Greek, they do house a famous Greek dessert. Check out Aladdin for some of the best baklava in town. Besides delicious desserts, they also have some of my favorite Middle Eastern dishes. This place is a feast for your eyes and taste buds with decor that transports you to another world. Come on Saturdays for live belly dancing. Billy’s Downtown Diner Billy’s is not your typical diner. They serve some of the tastiest breakfast and lunch dishes that you can’t get anywhere else. When you’re craving Greek food, my suggestion would be the Greek salad or chicken souvlaki. You must try the fresh squeezed orange juice or Greek iced coffee to go with! Remember that they are only open for breakfast and lunch. The Gyro Company There are really no words for how upset I was when I heard that one of Lehigh Valley’s Gyro Company locations had closed. Luckily, I can still enjoy a perfectly crafted gyro at the location inside Coca-Cola Park while watching the IronPigs home games. It’s a little messy, but so worth it. Don’t forget extra napkins! Copperhead Grill Again, Copperhead Grille is not a Greek restaurant but they do make a mean Greek appetizer. The Mediterranean Chicken Skewers with spinach, roasted red peppers, feta, kalamata olives, tzatziki, chimmi, and pita is my go-to. It is salty—but I’m into that sort of thing. Perfect for when you’re in the mood for Greek food, but whoever you’re dining with is not. Mayflower For a cozy, family-owned spot, there is nothing better than the Mayflower. Greek yogurt covered in walnuts, honey, and berries—need I say more? Plus, gyros, rice pudding, and baklava galore. This is a true Greek family restaurant with a ton of other diner type fare as well. Well, there you have it—my favorite Greek findings in Lehigh Valley thus far. Have I missed anyone’s favorite Greek meal? I’m always on the hunt for new restaurants. Comment below and let me know what should be next on my bucket list!